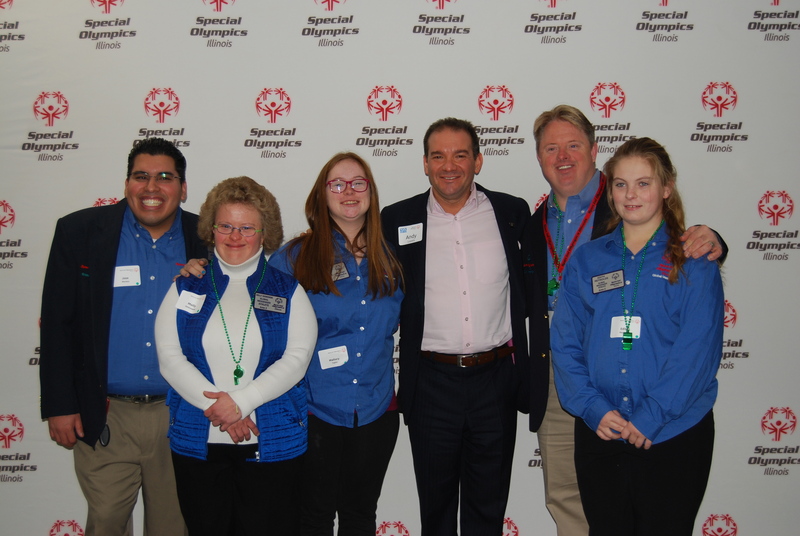 Through a partnership that began a couple of years ago with the National Speakers Association of Illinois (NSA-IL), Special Olympics Illinois athletes have benefited immensely! Steve Beck, past President, and Lori Miller, current President of NSA-IL, were passionate and committed to developing a relationship with SOILL in helping to develop the speaking skills of our Global Messengers. NSA-IL is the recognized voice of the speaking profession in the state of Illinois and the Chicagoland area. Nine of the NSA-IL members took time out of their busy speaking schedule to facilitate the Global Messenger Speakers Academy for 38 athletes and their mentors, 84 total, from around the state on Saturday, Nov. 22, in Addison. View more photos from event. The workshop began with two very talented musicians – Steve Evans, lead singer from the band Deceptions End, and Shaun Ashley, lead guitarist. Their acoustical rendition of “Time of My Life” by David Cook had the whole group singing along and several of the athletes joined Steve and Shaun on stage. The workshop part of the day featured different sessions – a Telling Your Story Workshop and the Stage Skills Workshop. The Telling Your Story Workshop focused on helping the Global Messengers write their story or improve upon an existing speech. The Stage Skills Workshop focused more on non-verbal communication and using their voices to impact an audience. NSA-IL volunteers where phenomenal in offering great advice and tips to expand upon what the athletes are already doing! Thank you to Lori Miller and Steve Beck of NSA-IL for making this a reality! 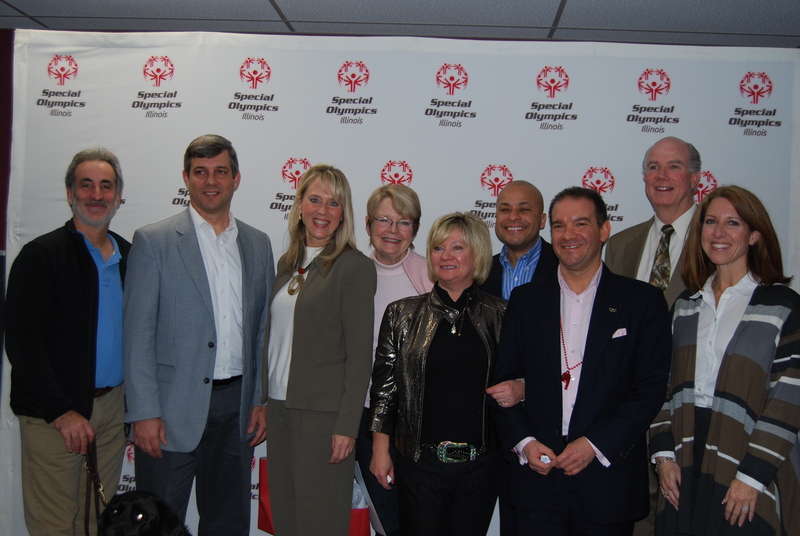 Also, special thanks to the facilitators – Colonel Jill Morgenthaler, Debbie Leoni, Bob Roitblat, Terry Watson, CSP, Marcia Stern, Andy Lopata, Sharon Weinstein and Glenda Sharp for this workshop extraordinary!